As a fan of shows that happen to have toxic fanbases such as Steven Universe and Rick and Morty, I often hear the phrase, “I don’t watch that because of the fanbase.” I am always surprised by this reasoning—it seems illogical to me. First, if a show has any sort of fanbase there will always be a percentage that is toxic—let’s face it, having some bad apples is inevitable in any population. Those negative viewers will probably be given more representation in the media because, as one study conducted at McGill has shown, people are more interested in news with negative tones. The representations you have of toxic fans will be exaggerated because psychologically, we’re drawn to media that shows this kind of behaviour. The media, in turn, is incentivized to show us what we want: Negative news and negative characterizations of people, which skews our perception of what the whole fanbase is like. How likely is it that you will see a positive depiction of a fan in the media? The sources you rely on will almost definitely give you a poor representation of the reality of the fanbase’s attitudes. It is wrong to assume that the bad behaviour of toxic fans is some fault of the show. Shows do not pick their fans. Additionally, just because a toxic fanbase has some bad common characteristic, this does not immediately imply that the show shares that characteristic. The show might have something to offer that is correlated to the fanbase’s toxic trait but that does not mean it is the same trait. 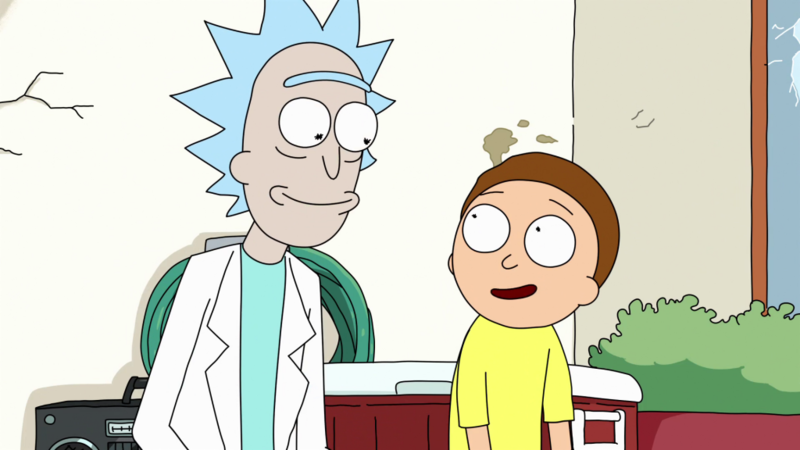 For instance, many Rick and Morty fans have been accused of being sexist, but this does not lead to the logical conclusion that the show itself is sexist. Being sexist could be correlated to dark humour for example—people who are the former tend to also favour the latter, but that doesn’t mean these traits are intrinsically linked or that everyone shares them. The show could have a lot of dark humour, so it could simply be the overlap of the two characteristics leading to sexist fans, not something inherent to the series itself. It is also often the case that a show will represent an instance of behaviour to criticize it. There are so many coincidental reasons for a show to have toxic fans, so it makes no sense to dislike the show for something its creators and producers ultimately have no control over. Choosing not to watch a show simply because of a bad fanbase is not a fair judgement of the show itself. The only way to determine if a show is any good is to watch it and form your own opinion. Don’t let other people’s bad attitudes sour your enjoyment of anything; just enjoy things in your own way for your own reasons, and keep an open mind and give every show you want to watch a fair chance. You may just realize you were missing out the whole time.